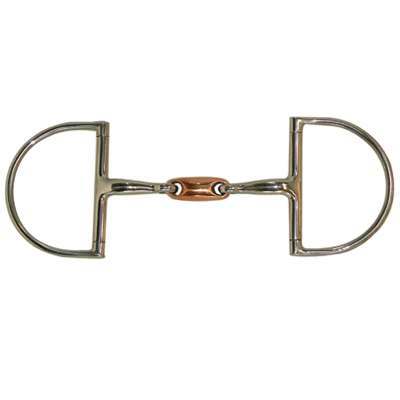 Looking for a Hunter Dee Ring Snaffle Bit with Copper Oval Link which is durable and affordable? You came to the right place. Here at Horse Tack Now we have a nice selection of Dee Ring Snaffle Bits and other Horse Snaffle Bit items for you to choose from. The Light Weight Copper Mouth Dee Ring Snaffle Bit measures 2.375'' x 3.125'' in rings and 18mm in mouth. This Dee Ring Snaffle Bit has a copper link which creates additional salivation for your Horse. Only the finest quality Horse Snaffle Bits are available at Horse Tack Now at discount prices.